I often find myself searching for directions on my computer but then want to view those directions on my phone. Fortunately with the cloud, this is pretty easy and doesn’t need you to search again from scratch on your phone. If you’re using Apple Maps on your computer and on your iPhone or iPad. Simply press the sharing button and then select the device you want to share the directions with. select the route from your list of recent directions. This will show you the directions on a map, you can also get turn by turn navigation by clicking the Start button. Provided you’re signed in to Google, if you’ve searched for directions on Google Maps on your web browser. 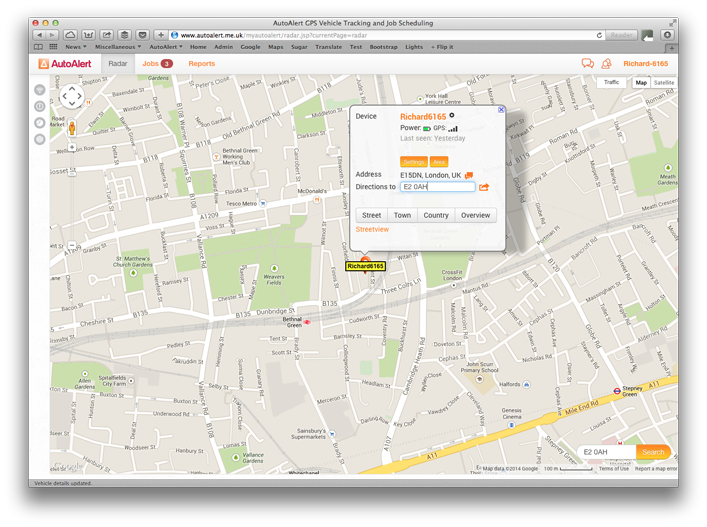 The locations will automatically be shown on Google maps on any other device. Open Google Maps on your phone, press the directions icon and then click the relevant location in your history to populate your origin or destination and get the directions between the two. 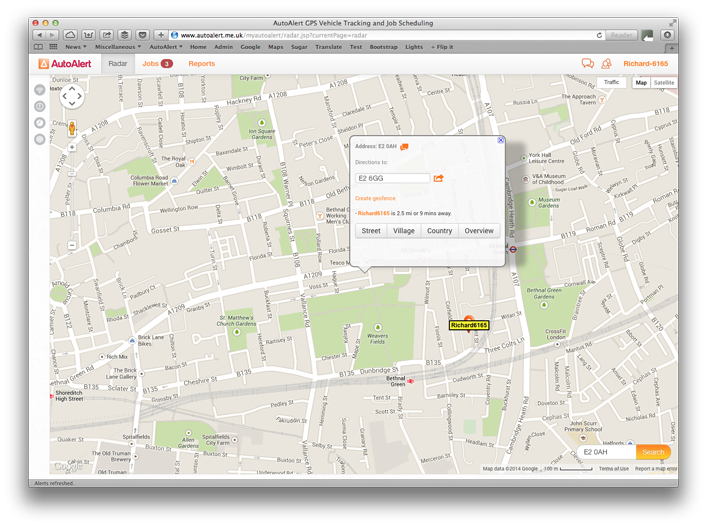 With AutoAlert Messaging, sending directions to someone else’s phone is very simple. One of the benefits of using AutoAlert is the ability to cut and paste information from another application into AutoAlert and then send that as a message to one of your colleagues. When your receive the text message on your phone, you can simply click on the URL in the message to open Google Maps on your phone with your directions. If you’re logged into AutoAlert and want to send directions from one of your vehicles, or send directions from another address, then there are two simple ways to do this. If you want to get directions from the current location of one of your vehicles, simply click on the vehicle, enter the destination in the Directions to field and click . This will open your direction in google maps. 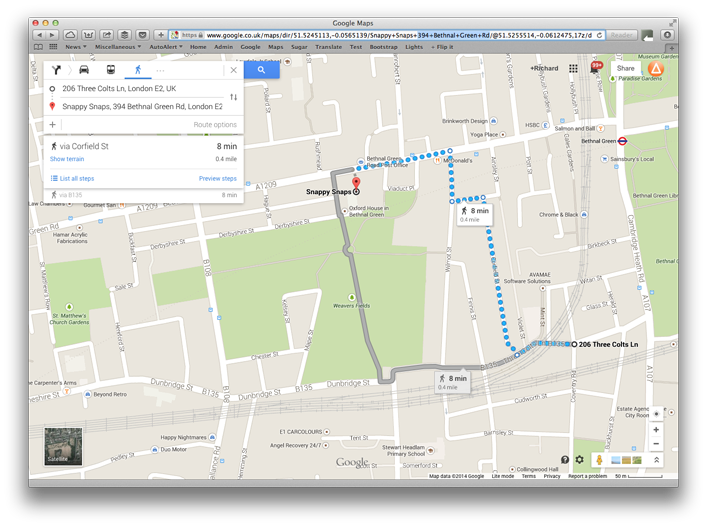 From there you can change the directions, add route options or change from driving to walking etc. If you have Google Maps on your phone, you can open the application and use the two locations which are available in your history (see above). If you want to send the directions to another phone, then copy the URL from your web browser, go back into AutoAlert and click the messages icon . You can then decide whether to send the message as an instant message to one of your connections or by SMS. Clicking on the link in the message will automatically open the directions in your map application on your phone. type the address in the search bar at the bottom right of the screen. If you have Google Maps on your phone, you can open the application and use the two locations which are available your history (see above). 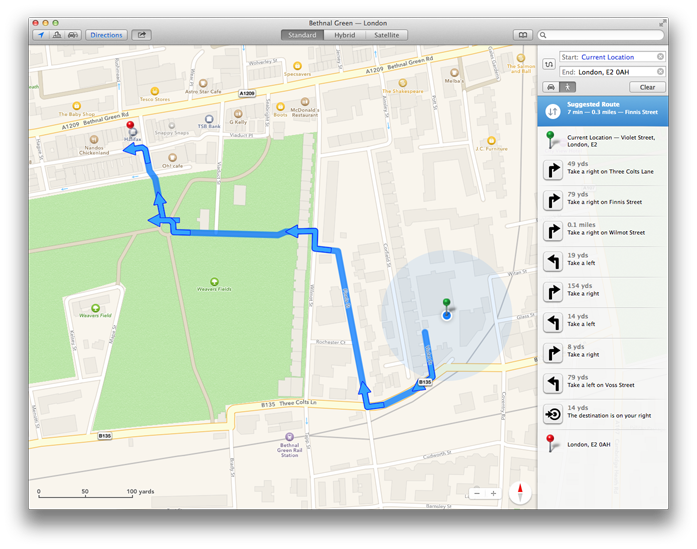 If you want to get directions from one location to another, then you can obviously do this via Google Maps, Apple Maps or a whole hosts of other applications. However, if you want to get the directions from one of your vehicles to you, or to another location. Then this is simple to do using AutoAlert’s iOS Monitor application. This will launch Google Maps if you have it, otherwise it will launch Apple Maps on your phone with your directions ready including turn by turn navigation if required. You can of course copy and paste any information you want into a message and send it via AutoAlert. This saves you the time and effort of having to write out a text from scratch on your phone. 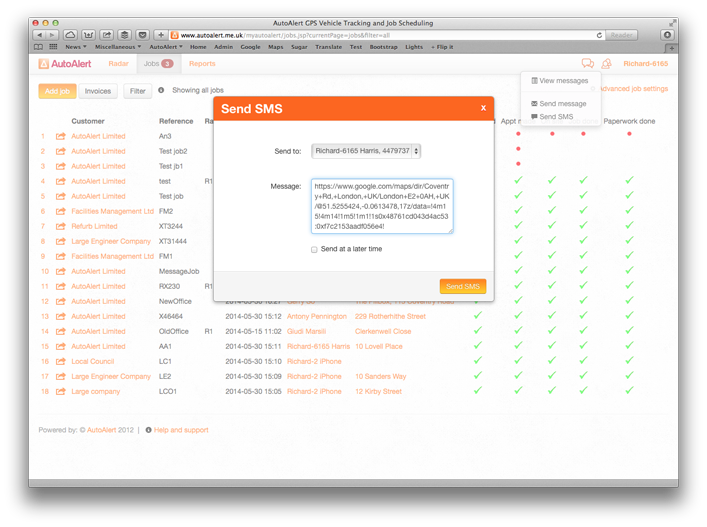 Find out more about AutoAlert Messaging and our iOS Monitor application, and how they can benefit your business.